These photos are referenced in my story about my search for my family roots. This photograph was taken in Hawaii in the mid-to-late 1930s. My grandfather, a successful contractor, lived in Honolulu until 1940, when he suddenly decided to move the family back to Japan. 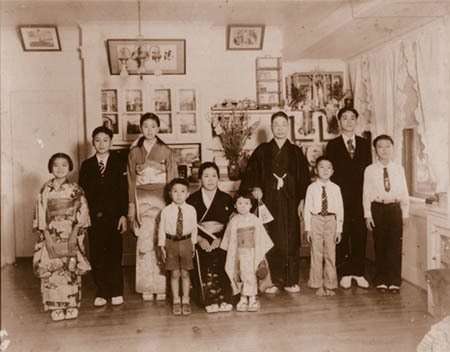 My father, George Hisayuki Asakawa, is the youngest son, wearing shorts. 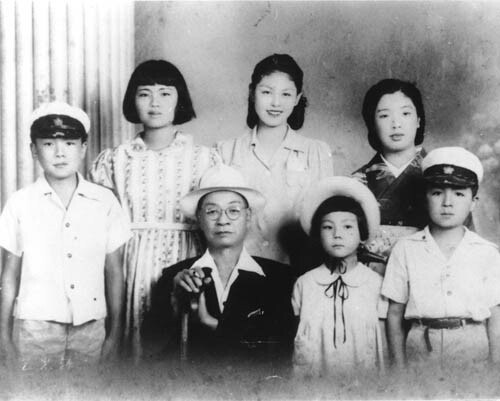 This family portrait was taken in Japan during the war. Several of my uncles are missing — one stayed in Hawaii and served in the U.S. Army; one was forced to join the Japanese army and was sent to Manchuria to fight the Russians. My dad is on the right. My grandmother died before the trip to Japan; the woman wearing the kimono is the family maid. 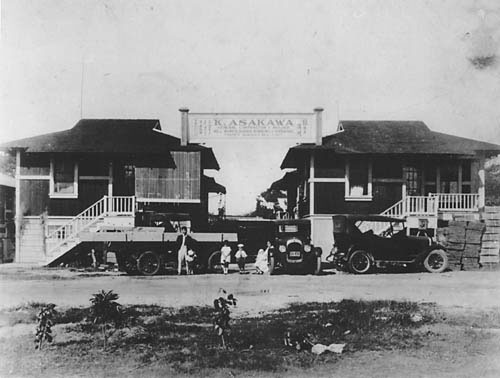 An early 1930s photograph (my dad is the youngest child in the picture) of Kyutaro Asakawa’s construction company, in Honolulu.